Dr. Jill E Vollbrecht, MD is a Doctor primarily located in Traverse City, MI. She has 18 years of experience. Her specialties include Endocrinology, Diabetes and Metabolism and Internal Medicine. She speaks English. Dr. Vollbrecht has received 3 awards. 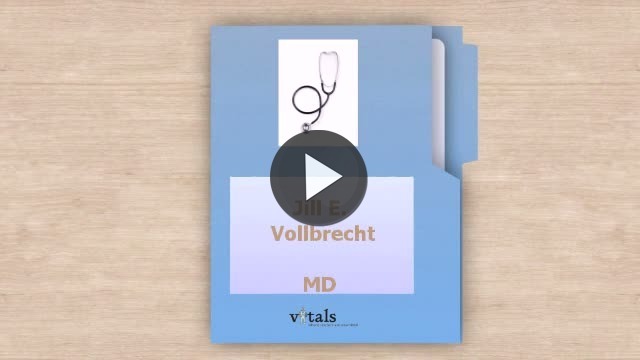 The overall average patient rating of Dr. Jill E Vollbrecht is Great. Dr. Jill E Vollbrecht has been rated by 26 patients. From those 26 patients 6 of those left a comment along with their rating. The overall rating for Dr. Jill E Vollbrecht is 4.2 of 5.0 stars. Excellent Doctors and staff. Treats whole problem not just the symptoms. Very happy with my care. Take a minute to learn about Dr. Jill E Vollbrecht, MD - Endocrinology, Diabetes and Metabolism in Traverse City, MI, in this video.